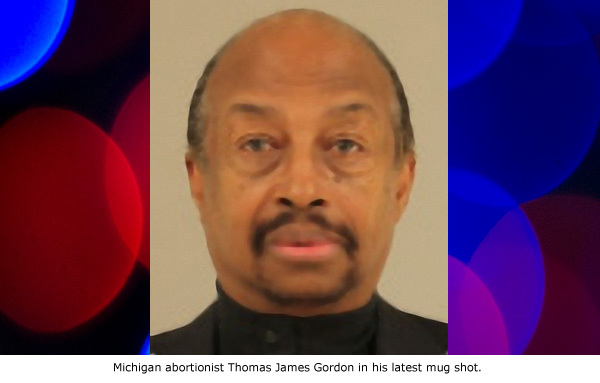 Grand Rapids, MI – The recent arrest of a Grand Rapids abortionist has brought to light a lengthy criminal arrest record for crimes of violence, a pattern of which shows a downward spiral into alcoholism and violence. Thomas James Gordon was arrested on January 13, 2016, and spent four days in jail for charges described as “Disorderly Person, Fighting/Jostling.” Little more is known about this current case except that it certainly wasn’t Gordon’s first brush with the law. His first known arrest was January 29, 1991, according to documentation posted originally by Live Action, when he was charged with aggravated assault for which he pled nolo contendere and served 18 months of probation. November 6, 2011: Gordon was arrested and eventually pled guilty to a weapons violation of possession a firearm while under the influence and domestic violence. While in a drunken state, he held a gun to his wife’s head. He spent four days in jail, paid a fine, and was again placed on probation. June 1, 2015: Gordon was arrested and charged with domestic violence for the second time. He pled guilty, was given a suspended sentence of 90 days in jail, fined, and placed on probation once again. September 20, 2015: Gordon was once against arrested, this time on an Indian reservation for operating a motor vehicle while intoxicated. He pled guilty and was given the option of paying a fine or spending 90 days in jail. For the fourth time, he was placed on probation, this time for only six months. One might think that four criminal convictions for drunkenness and assault would show up on his medical license profile. However, his medical license shows no adverse information at all. Gordon owns and operates Heritage Clinic for Women, which was cited in 2014 for numerous violations related to careless handling of drugs, expired medications, and other shoddy practices. Michigan pro-life activist Lynn Mills has filed complaints against Gordon and is hoping his license will be revoked. View Gordon’s profile on AbortionDocs.org for further documentation.